Nuisance Wildlife Rangers is a minority owned company that employs the highest trained individuals in the industry. Our staff includes a team of wildlife biologists. The owners have over 15 years of experience in the industry. Nuisance Wildlife Rangers can handle any pest or wildlife control situation. We service both commercial and residential properties and specialize in large scale bat and bird work. 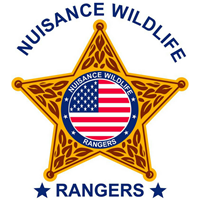 The Nuisance Wildlife Rangers is based out of Palm Beach County, FL and services the Metropolitan Tampa Bay Area and all of South Florida. Nuisance Wildlife Rangers is fully licensed and insured and includes Workers Compensation Insurance, Fleet Insurance and Two million dollars in General Liability Insurance to protect our customers and their property. Justin was so much help getting the raccoons out of my attic. He was persistent and professional. I would recommend him to anyone that needs help with any type of critter problem. He returned as many times as was necessary to take care of the problem with politeness and punctuality. Highly recommended!!! Michael was very professional and informative about the process that it would take to get rid of the raccoon. I am very satisfied. Nuisance Wildlife Rangers were wonderful... they assessed the issue and corrected it promptly at a fair price. Called several companies to get rid of bees infesting my house.Everyone else just blew it off. But Nuisance Wildlife took the challenge and did a great job. No more bees, Thanks. Michael has informed me on everything that is happening, and I can definitely see a reduction in the rats. Thanks. Great service they took care of my critter problem thanks Bob. A great company! Always very courteous and did a great job keeping my residence pest free! Will highly recommend to whoever purchases my home! Always on time, very professional. The best in their field. Wonderful associates great follow up and gets the job done! James is fantastic taking his time to explain everything and goes above and beyond! This company is amazing.They arrive when they say they will, they provide an estimate if you would like to have an idea of the cost before they begin, they are honest. I have referred them to two neighbors who are as happy with there service as I am. I rate them a five star business and will continue to utilize their services. Nuisance wildlife rangers is a very professional company that we have had the pleasure to work with to solve our iguana problem in our roof. They have come back multiple times to help us. They always arrived at our house when they said they would and supplied a report.after service was completed. I would not hesitate to use them again. Very Happy got rid of my bees. No complaints. Everyone was extremely helpful and courteous. Even though the treatment didn't eliminate all of them at first application, there was no hesitation about coming out again when I called. THANKS. Prompt and attentive service and they get the job done! Receiving the reports is a nice bonus and staff are very professional. I highly recommend the Nuisance Wildlife Rangers. I am very happy with nuisance wildlife. They followed up exactly as they promised and took care of rat problem quickly. Thank you! A quick response and a quick removal of the pest. I am very happy. Adam showed me where he in fact sealed gaps in the wall behind the refrigerator and stove. Great job. Thank you!! I still have not received an invoice. Something is not correct. the raccoons have not returned for quite some time thank you. Excellent response and follow through. We have been quite pleased with the service Nuisance Wildlife Rangers. They responded quickly to our situation and produced results very quickly. We will continue to use their service when needed. We are a 1400 home HOA with 550 acres surrounded by preserve area. This company does an excellent job. It was a shock to us that we had an issue. We felt comfortable and happy that we selected a capable and effective company. Matt in particular was highly professional and responsive to work with. All are doing a GREAT job! Keep up the good work. Nuisance Wildlife Rangers are a professional outfit. In three days the raccoons were caught and no more damage to my yard or threat to the dog. Thank you! We feel secure in that we have no more rat activity! Hooray for that! Thank you. Philip (owner) explained the entire process for trapping raccoons. He and his team were available right away and their visits timely. James was the technician that held our hand through the process, which is both humane and effective. I couldn’t be more pleased with the results: we’ve caught 6 animals in a week! It has been a worthwhile experience, we are very pleased with the service. I recommend this business highly! Prompt, thorough service. Very educated in what they do. Really like being kept in the loop with regards to the monthly visits. Keep up the good work! Anthony was very nice and explained everything the day he dropped off the traps. Even though we did not catch the raccoon that was seen in our backyard, there were 2 possums that were caught and relocated. I received an email daily detailing the activity. I will call them again if I detect any other unwanted animals in my yard. There was something dead on the property in one of the boxes and I called them and they came right away to get rid of the dead snake. Very pleased; tech came out quickly and dispatched 4 large iguanas first day; very professional. We feel your company does a thorough job in checking traps, setting new traps and repellent and communicates with us your findings via report. Great job. ALWAYS RESPONDS TO MY CALLS BUT HASN'T ELIMINATED. JUST CURTAILED. IGUANA INFESTATION. prompt response but too expensive. Always able to accommodate calls fast and efficient. We are happy with the service.